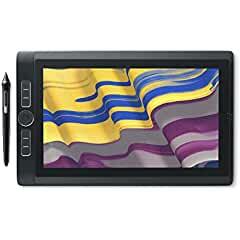 Wacom has reduced prices for several models of the Wacom MobileStudio Pro. The state of the art pen computer is already very popular among established artists and designers as well as students and young professionals, who need to work in different places and on the go. "The MobileStudio Pro allows creatives to actually take their studio with them, no matter if they are changing between classes or jobs, traveling or just changing their surroundings for some inspiration," says Faik Karaoglu, Executive Vice President for Wacom's branded business.